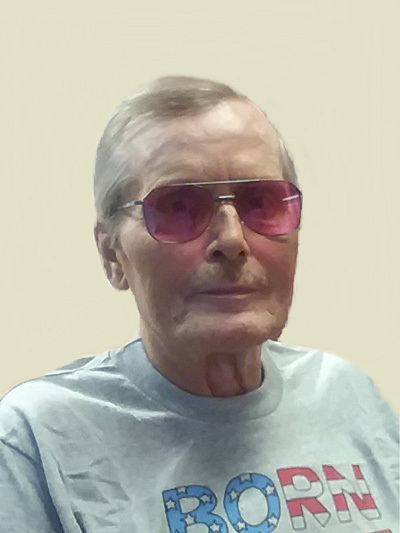 NEW ULM — Roger C. Schroeder, age 67, of New Ulm passed away Wednesday, June 20, 2018 at the Hillcrest Rehabilitation Center in Mankato. Visitation will be from 4:00 – 7:00 p.m. Friday, June 29, 2018 at the Minnesota Valley Funeral Home – NORTH Chapel. Burial will take place at a later date. Roger is survived by his brothers, James (Linda) Schroeder, Dennis (Karen) Schroeder; sisters, Judy (Robert) Bemmels, Barbara (Glenn) Buboltz and Brenda (Kent) Wiethoff along with many nieces, nephews and friends. Roger Charles Schroeder was born September 15, 1950 in Sleepy Eye to Leroy and Marcella (Freyholtz) Schroeder. Roger graduated from Fairfax Public School in 1968. After school Roger joined the United States Marines and was a Veteran of the Vietnam War. After returning home Roger worked for the United States Postal Service in New Ulm. He was a member of the D.A.V. chapter 15 and the New Ulm VFW and American Legion. He enjoyed motorcycles, restoring old cars, wood working and stained glass art and he loved spending time with his family. In lieu of flowers memorials preferred to the V.A.